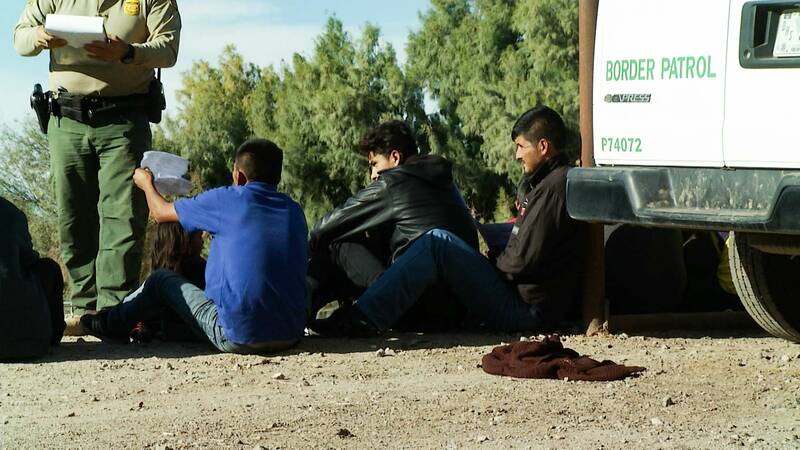 A group of men, women and children prepare their documents after approaching and surrendering to Border Patrol in the Yuma Sector. SAN DIEGO — A federal appeals court put a judge's order on hold Friday shortly before it would have stopped the Trump administration from forcing asylum seekers to wait in Mexico while their cases move through U.S. courts. Melley reported from Los Angeles. Associated Press writer Elliot Spagat in El Paso contributed to this report.